Thinking of getting a 30-year variable rate loan with a 3-year introductory fixed rate? Use this tool to figure your expected initial monthly payments & the expected payments after the loan's reset period. You can also use the button at the bottom of the calculator to print out a printable loan amortization table. 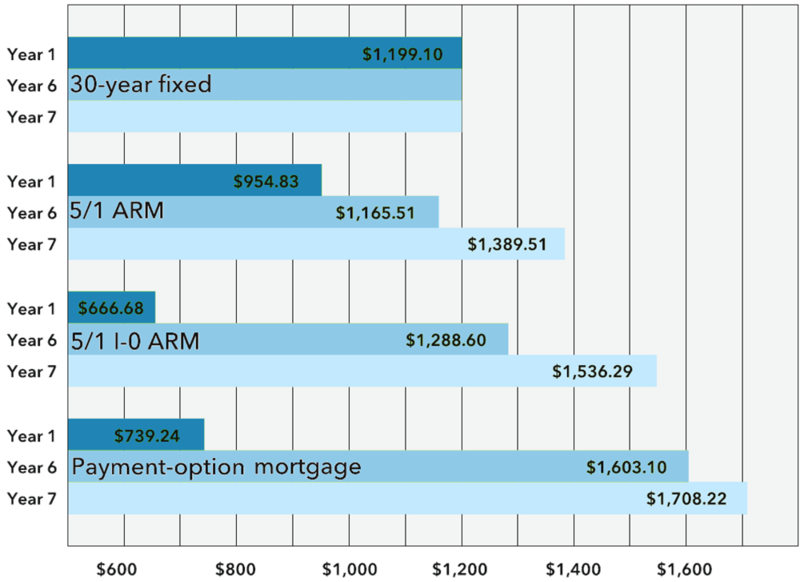 The following table shows the rates for ARM loans which reset after the third year. 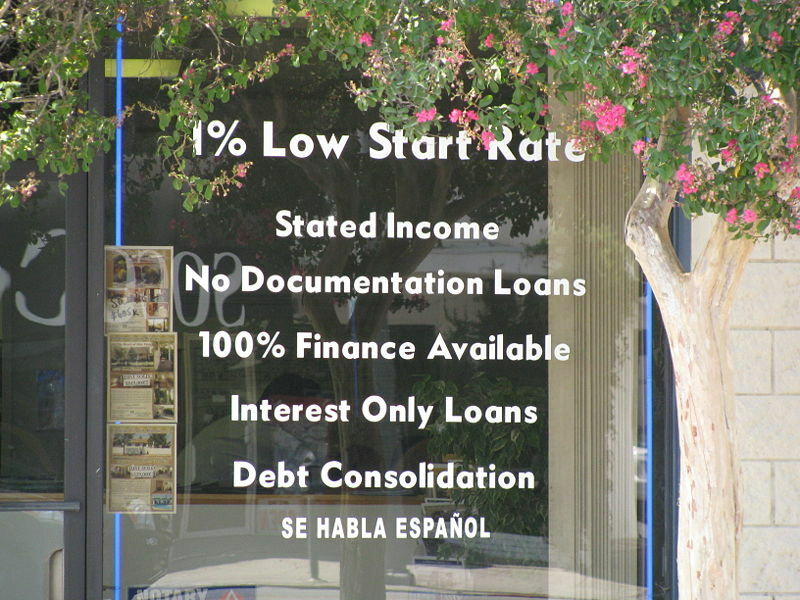 If no results are shown or you would like to compare the rates against other introductory periods you can use the products menu to select rates on loans that reset after 1, 5, 7 or 10 years. By default purchase loans are displayed. Clicking on the refinance button displays current refi rates. The following table shows what the annual payments would be on a 3/1 ARM, presuming the same conditions as above. 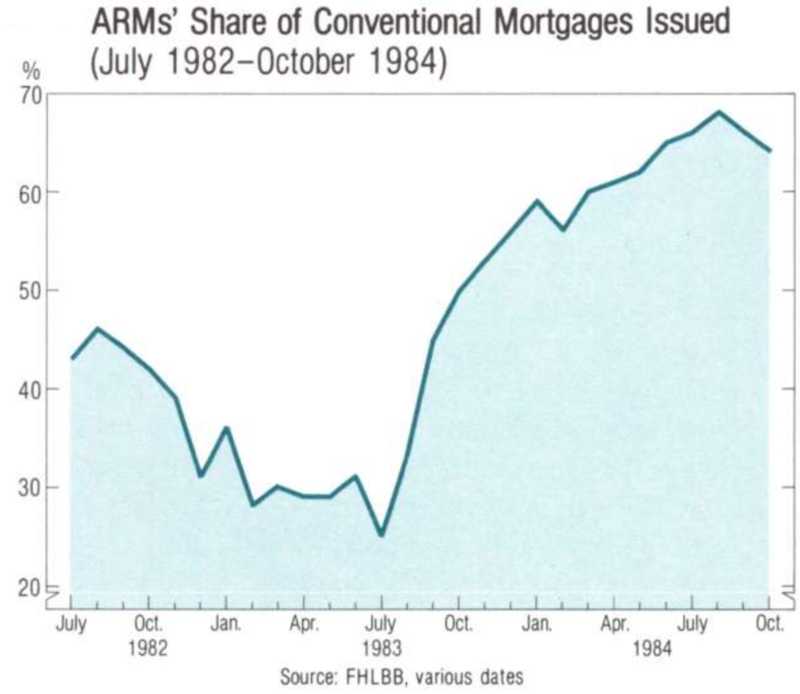 A similar spike in demand for ARMs happened in the early to mid 1990s. 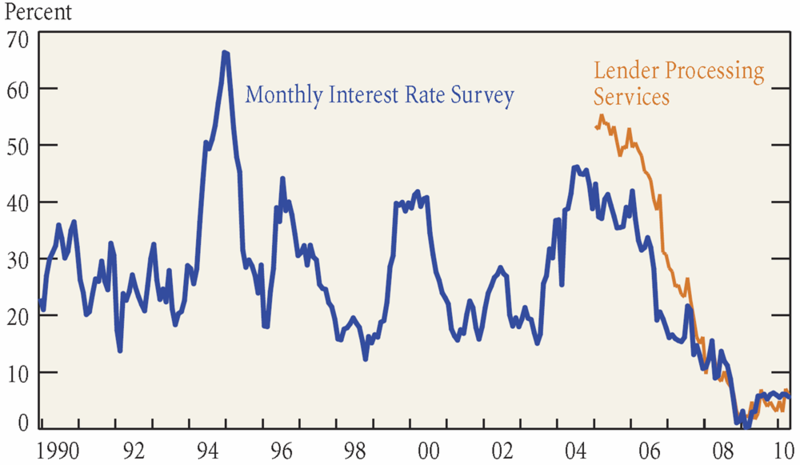 A smaller spike happened during the Internet stock bubble & there was an echo during the waning days of the early 2000s housing bubble. If you found this guide helpful you may want to consider reading our comprehensive guide to adjustable-rate mortgages.